(Cannes, France) – Member of the Executive Board Nadja Swarovski (wearing Atelier Swarovski by Viktor&Rolf), Viktor Horsting andRolf Snoeren walk the red carpet for the “How To Train Your Dragon 2” Premiere. Nadja Swarovski hosted a cocktail at the 67th Cannes Film Festival on May 16th, 2014, to celebrate Atelier Swarovski by Viktor & Rolf and creation in all its facets, in the presence of the feted fashion duo and their guests gathered for the occasion. 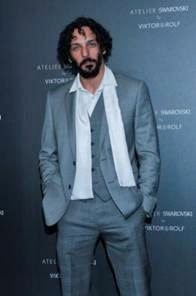 The event took place at L’Ecrin, one of the most renowned locations in Cannes where Paz Vega, Tomer Sisley, Renzo Rosso, Laure de Clermont Tonnerre and Clotilde Coureau among other friends joined the party.